What makes AttackDefense an Industry Leading Lab Platform? 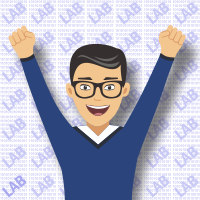 700+ Lab Exercises, Wide Coverage, New Labs Weekly! Our labs host over 700+ unique lab exercises on topics spanning from recon, exploitation, post-exploitation, data exfiltration, web applications, traffic analysis, CVEs, network components, infrastructure attacks, privilege escalation, forensics, firmware analysis, reversing, secure coding, IoT networks, Metasploit, Python for infosec and many others. New labs are added weekly! Technology changes rapidly and so should your pentesting lab! We use modern network and stack components extensively in our labs, including but not limited to: Caching servers, SQL and NoSQL databases, distributed queues and databases, proxy servers, IMAP, POP3, SMTP servers, SMB servers and others. 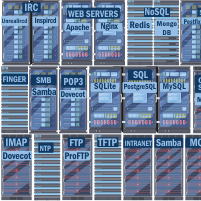 Our collection of labs use products like Nginx, Tornado, NodeJS, Gunicorn, MySQL, SQLite, PostgreSQL, Redis, MongoDB, ArangoDB, Couchbase, Apache Ignite, Kafka, Squid, Dovecot, Graylog, Samba and others. We understand the pains of using a shared lab environment! 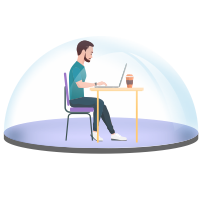 When you start a lab exercise on AttackDefense you get a completely private lab environment just for your use! What's more - Unlimited Lab Time! We do not meter your lab access - play any exercise for as long as you like! Of course, to prevent abuse, we allow you to play only one lab exercise simultaneously. Also, running labs are automatically shutdown after 3 hours. You can restart the lab immediately if you want. Most of our lab exercises are intended to be completed within an hour or two at most. Say goodbye to VPNs! 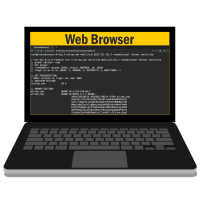 AttackDefense labs can be accessed directly via any modern web browser. Depending on the lab exercise, we give you access to a Terminal/GUI based Kali, Ubuntu or other base system. All the necessary tools and scripts required for the lab are pre-installed! This makes it super easy to play with the lab no matter wherever you are - home, office, coffee shop or airport! You can get up and running with the lab in 30 seconds or less! AttackDefense Labs are included with your Pentester Academy Monthly Subscription!